Is your non-profit looking to raise more money through grants from foundations, corporations, and government agencies? Do you want to launch a new grant program or dramatically grow your current grant fundraising efforts? Would you like to quickly and easily find new grant-making organizations that are interested in funding non-profits like yours? 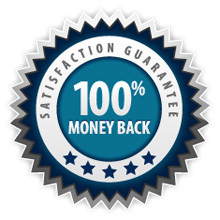 Do you wish you had a simple, step-by-step guide to writing winning grants? If so, then I invite you to join us for our newest class at The Fundraising Authority — The Grant Fundraising Blueprint: How to Find and Win More Grants for Your Non-Profit. Successfully finding grant funding doesn’t need to take all of your time and energy. In fact, even small non-profits can successfully add a grant funding stream to their development program. In this 4 week class, we will walk through both basic strategies and advanced tactics for supercharging your grant fundraising program. You’ll learn how to raise more money while spending less time and resources on grant writing. No matter how small or large your organization is, your non-profit can be raising more money through great grantwriting. Let us show you how. This class is designed for both those new to grant fundraising, as well as seasoned grant professionals looking to polish their strategy and writing. The Grant Fundraising Blueprint: How to Find and Win More Grants for Your Non-Profit will run from Monday, April 22nd through Friday, May 17th. The class runs completely online, and all materials will be delivered electronically. You will receive class materials each week on Monday by e-mail. Every week, you’ll get both an informative written guide and a podcast seminar. Don’t worry – we’ll include information on how to download and read/listen to the course materials and provide technical support to make sure you can access all of the guides and podcasts. One of the best things about this class is that you can read the guides and listen to the podcasts from the comfort of your own home or office. Instead of having to take a day off to go to a seminar or offsite workshop, you can learn everything you need to know about event fundraising, right where you are. And – you have lifetime access to the class materials! So even if you can’t go through all of the modules right now, you can read and watch them when you are ready. There are no tests or quizzes, only solid information that you can review whenever you are ready, with lifetime access to the course pages. 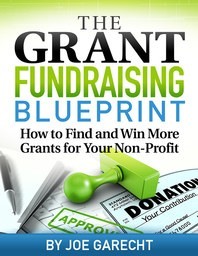 The Grant Fundraising Blueprint: How to Find and Win More Grants for Your Non-Profit is being taught by Fundraising Authority founder Joe Garecht. Joe has spent the past 20 years helping organizations worldwide raise more money. He has personally raised over $50 million for non-profits, and has experience with writing grants large and small, simple and complex — and everything in between. 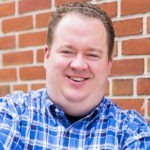 Joe is the author of How to Raise More Money for Any Non-Profit and The Non-Profit Fundraising Formula, and a popular speaker and trainer on fundraising and development. When you register today, you can participate in the entire class, including all of the written guides, podcast seminars, and bonus items, for an investment of just $67. During this class, each participant will have direct access to course instructor Joe Garecht. Send him your questions about what you are learning and how it applies to your own grant fundraising, and he will respond with customized advice and counsel. Everyone who registers will receive a sample packet that contains an actual winning grant proposal direct from Joe Garecht’s personal files. You can use this sample proposal to help guide your efforts as you write grant applications for your own non-profit. In addition, all class participants will receive a recording of Joe Garecht’s exclusive podcast The 4 Best Ways to Maximize Your Grant Fundraising Program. During this 30 minute podcast, Joe will teach you how to use these 4 crucial methods to raise more money – faster, and with less stress – than ever before. We know that The Grant Fundraising Blueprint: How to Find and Win More Grants for Your Non-Profit is the single best course available on how to raise more money through better grant-writing. Not only will you be satisfied with this course, you will be raving about it to your colleagues and friends at other organizations. Because this class begins on Monday, April 22nd, we will need to close registration this Friday, April 19th at 7 PM. Once registration closes, we will not be able to accept any new participants, and instead, will be focused on working with class members. Be sure to sign-up now to gain access to the class. Sign Up and Start Raising More from Grants Today! To register for The Grant Fundraising Blueprint: How to Find and Win More Grants for Your Non-Profit and receive all of the class guides and podcasts, plus the bonus items, for just $67, click here: Registration for this class is now closed.